Our aim is to provide the highest possible level of service by ensuring that projects are managed by our experienced and qualified staff, capable of addressing the most complex of technical issues. We approach all projects with an open mind. Value engineering is used at every stage of the project. The company is able to provide a speedy response, delivering quality of service and awareness of the need to design with the economy. We are committed to producing the best possible solutions for our clients. Being able to draw upon a wealth of resources within the company we consistently deliver our services with the care and consideration that comes from knowing our clients’ needs. Furthermore, our quality assurance process allows for flexibility, so we can continuously improve our work. Through close relationships with specialist designers and trade contractors, Rodgers Leask is able to maintain its position at the forefront of the construction industry and involvement in up to the minute new developments. At the heart of our service is a commitment to teamwork both internally and externally. Working closely with the rest of the project team through all stages of the project, we aim to deliver projects that achieve agreed financial, programmed and environmental objectives. Committed to maintaining high standards of excellence, Rodgers Leask invests in staff training to ensure that current techniques and best practice principles are available to our clients. Coupled to this is our investment in new technologies, systems and software. Our staff utilise integrated business management systems and state of the art analytical and 3D design software packages allowing a seamless digital flow of information with clients and co-professionals. We continue to develop and expand our knowledge and expertise of Building Information Modelling (BIM) using software which brings the structure to life and enhances the interaction between designers, clients and end-users at an early stage, enabling informed decisions to be made by all. Our team uses BIM as a collaborative platform throughout the project lifecycle, minimising risk and focusing on significant cost savings. Critical to the design process for Rodgers Leask is our continued commitment to health and safety both on site and in the workplace. We are proud to be accredited to ISO45001 for Health & Safety Management Systems. Under the guidance of the director responsible for health and safety, in-house seminars are delivered by our expert external health and safety consultants on a variety of topical subjects which enable our staff to keep abreast of the latest developments in legislation and practice. These seminars are complimented by an additional online training programme. Health & Safety training is mandatory for all technical staff with each employee being required to prove their understanding of health and safety by holding a Construction Skills Certification Scheme card. As part of our corporate responsibilities, Rodgers Leask operates an effective Environmental Management System and is ISO14001 accredited. To this end, we actively encourage our clients and business partners to embrace sustainable and environmentally friendly solutions for their projects. 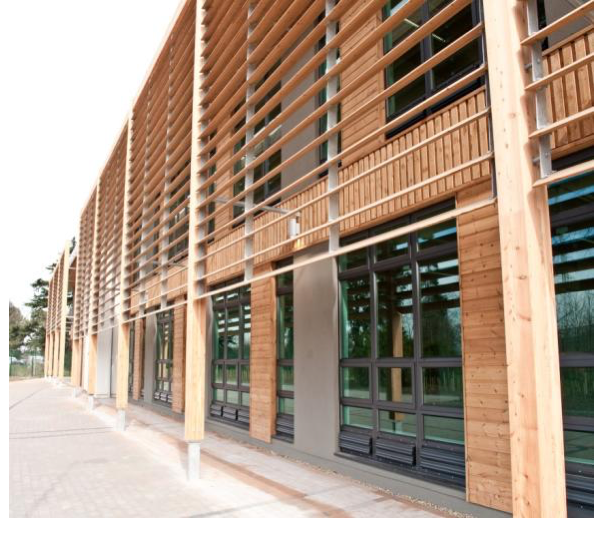 We have experience in dealing with BREEAM excellent and outstanding structures, utilising thermal mass in buildings, ground source heat pumps and solar shading. In addition, we are fully aware of our obligations with respect to Waste Management Regulations. In 2017 I became more involved with mental health in the workplace through a series of initiatives and workshops initiated by Government and the Institute of Directors for small and medium sized businesses to talk about and consider the issues. I have personally focussed attention on steps we can take in the workplace to support the people within our business. My own definition of good mental health is: our mental processes support the things we want and need to do, to a standard which we find satisfactory. People struggling with mental health issues generally don’t show any physical signs, which makes it easier to hide problems and harder for others to identify and understand. They hide issues because of the stigma surrounding mental health and simply because they want to feel and be seen as ‘normal’. But there are still things we can recognise that might indicate mental health issues at work such as: increased absenteeism, lower performance and anxiety about simple things, along with changes in social interaction, persistent tiredness and changes in other habits. So how we can be more proactive when it comes to the mental health of our staff? In my view, writing systems and processes is not the answer – putting people into a defined process is more likely to have an adverse effect and would potentially discourage people from engaging with their employer. We have to be flexible. There are some simple things we can do in the workplace, and my colleagues and I advocate the following: providing a safe, clean, well-lit and ventilated environment, encouraging people to take proper breaks (without feeling guilty), promoting healthy eating and drinking, with healthy food and drinks available, as well as ensuring that people are not stressed by continual tight deadlines and performance requirements.